Have you heard about TED and TEDx? With over 1 billion views on the Internet and 3,600 events currently organized across the world, chances are you have! So, if you are curious or simply want to know more about this global phenomenon, read on. Where does TEDx come from? Initially, there was only TED. Did you know that TED stands for Technology, Entertainment, Design? These areas would become the topics of the future, according to founder Richard Saul Wurman. This visionary was right back in 1984, because today, TED talks are incredibly popular online. TED is a significant global platform dedicated to ideas worth sharing. And this movement is growing at an amazing pace! It is the mission that has made this non-profit organization so successful. In fact, the ideas are what matters the most! The topics addressed at these annual events must be engaging and informative. TED fosters interactions between communities and nations. Created in the spirit of TED’s mission, TEDx was born to support independent organizers who want to create TED-like events in their own community. Today, locally organized TEDx events are held in more than 150 countries. Thousands of famous and lesser known speakers, researchers, authors, presenters, artists, and professionals, among others, have shared their experiences and knowledge. In fact, TEDx falls under the umbrella of TED. As such, TED can support TEDx license holders who organize mid to large scale events. To get a license, applicants need to meet certain conditions, comply with TED’s structure and be aligned with its mission. Therein lies the strength of the network! 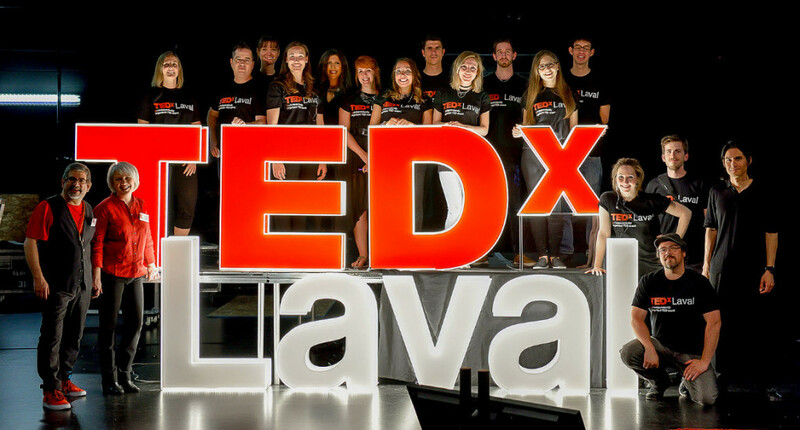 Currently, TEDx events are found in countless cities around the world, including Laval. Anyone interested can attend the TEDxLaval event, and keep track of upcoming conferences on https://www.ted.com/tedx/events. The TEDx approach is quite simple: guests share their idea with a smaller or larger audience, by delivering a talk in 18 minutes or less. All talks are filmed, then broadcast on TEDx networks and their Youtube channels. One TEDx event takes place per year per license, with a few exceptions. The audience can range from 100 individuals to as many as 2,500 or more. The maximum number of attendees is determined by the license that is granted. TEDx talks are available in English, French, German, and many other languages. Speakers from everywhere deliver their talks in their own tongue. People can choose to view talks in 100 different languages; in addition, many talks are subtitled in other languages. This option opens up a world of possibilities for people from different countries. As you can see, TEDx encourage ideas and interactions. Its events bring people together, inspire and drive actions. If you are looking for educational and positive content to expand your knowledge, you will most certainly be impressed. Science, education, entrepreneurship, finance, psychology, law: these are only a few of the subject matters addressed by experts who have distinguished themselves!